Last week my parents went for a few days to the Belgium coast. On their way back home they decided to make a stop at Ghent, I told them that it was a great idea cause I had a wish list waiting and it would save me the shipping costs haha. I sent them pictures of the items I was searching for and thought they'd bring me 1 items if they could find it. When they got home the surprise was even bigger than I'd thought. The bought EVERYTHING except one thing at Other stories they couldn't find. I'm almost ashamed to receive that much but damn it I have the best parents ever! I already showed you one thing on instagram here and here. But here are the other items! 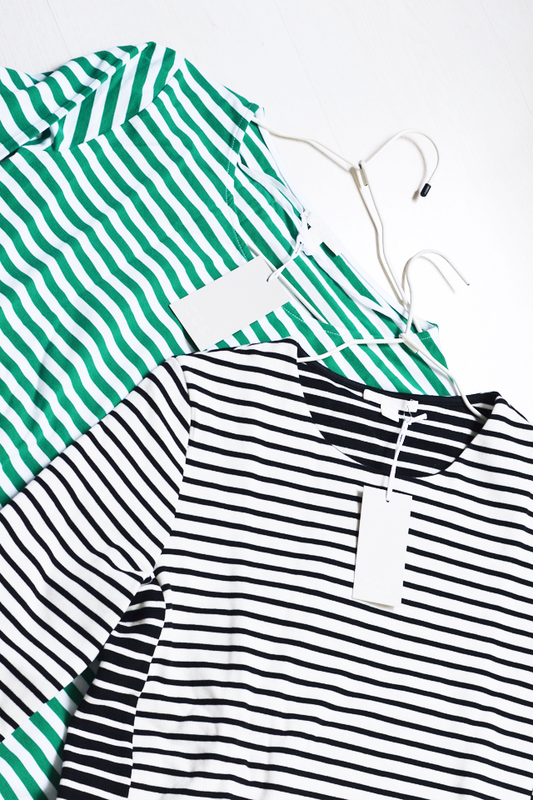 Two striped tops from COS. My search for the perfect striped tops has ended and I'm more than happy. The black and white one is a thicker fabric and as you can see on the sides, the backside has a opposite contrast. It's fits perfect and looks so chic! 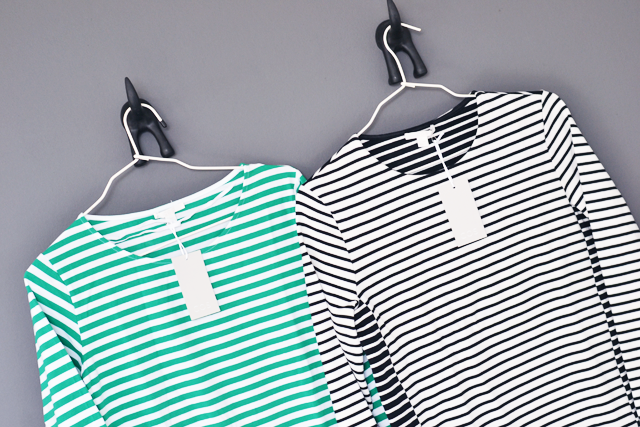 The other one with green stripes is something different. I'm in love with the green color and it proves that it doesn't always have to be black or white. Nothing wrong with some color! Can't wait to wear them and show them to you guys. Have a lovely day! Wat prachtig! Nu weet ik waar ik moet kijken, ben al een tijd op zoek naar perfecte, gestreepte shirts.